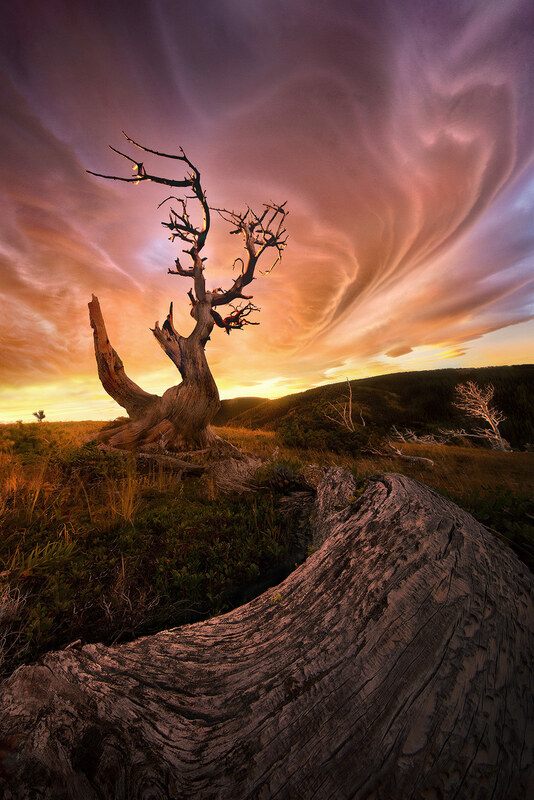 An incredibly powerful Lenticular wave cloud formation at sunrise over this ancient tree atop a high Montana plateau. When I think back on this morning today, I consider that I find this was probably the most interesting cloud formation I've had the opportunity to photograph in my career. Photo © copyright by Marc Adamus.